I have a confession to make. 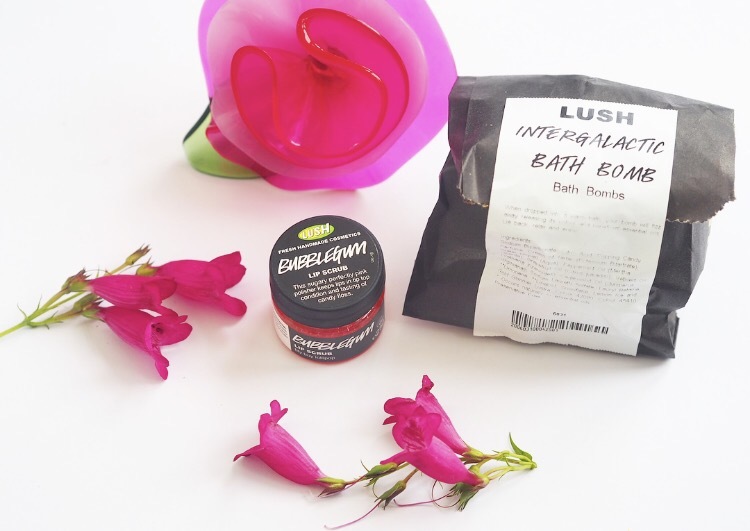 Although I’ve used a few Lush bath bombs before, I’ve never actually bought myself anything from the shop, having relied on gifts from friends and family for my fix. Walking into the Bournemouth branch of the store last week I was a bit intimidated by how many different products there were. I knew I wanted a bath bomb but I had no idea which one to get. 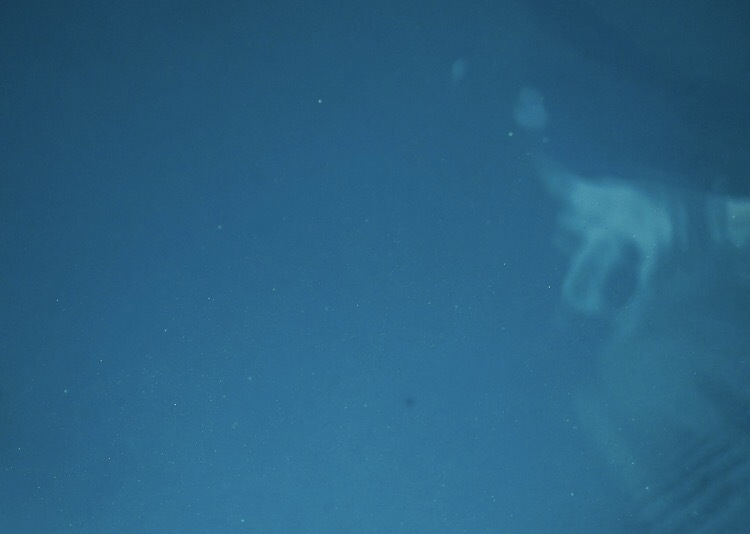 Having loved one I had recently which exploded to reveal tiny little love hearts in the bath, I was on the lookout for one which would give a similar effect but I was clueless as to which bombs did what. I ended up choosing one purely based on how pretty it looked. 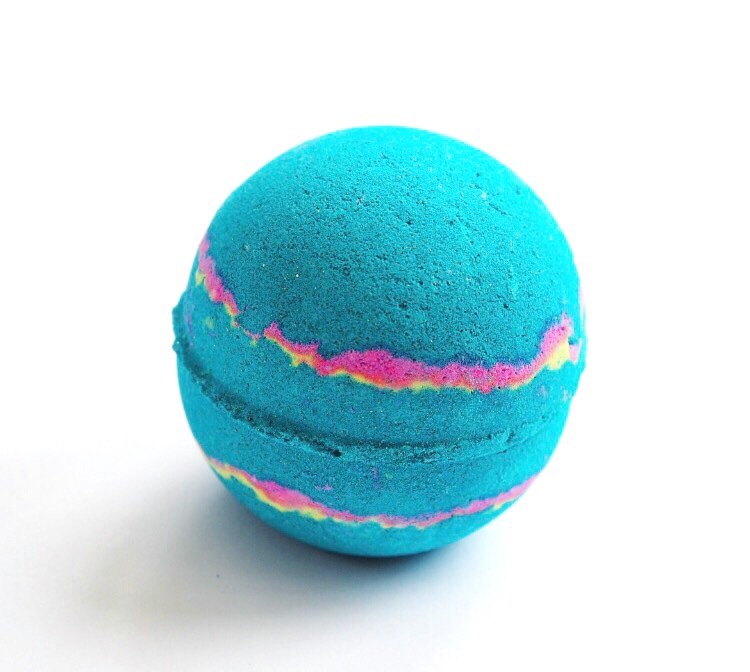 The Intergalactic bomb is a gorgeous shade of blue with bright pink, yellow and a darker blue threading through the middle. 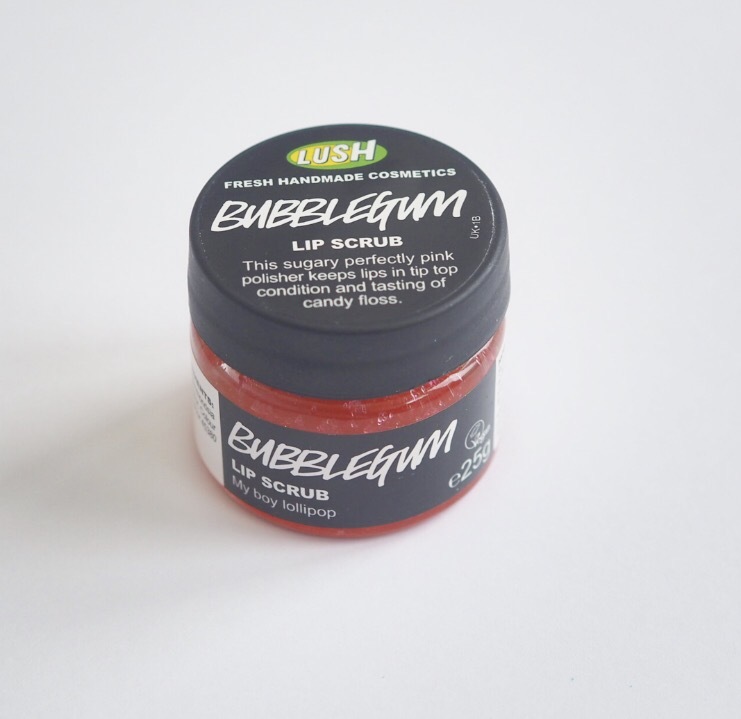 I’d also heard good things about Lush’s lip scrubs so I headed over to one of the friendly members of staff for help and she talked me through their different flavours, letting me test them out. It was a tough decision as the popcorn one had a gorgeous scent to it but ultimately I’m a girly girl at heart and I went with the Bubblegum scrub. 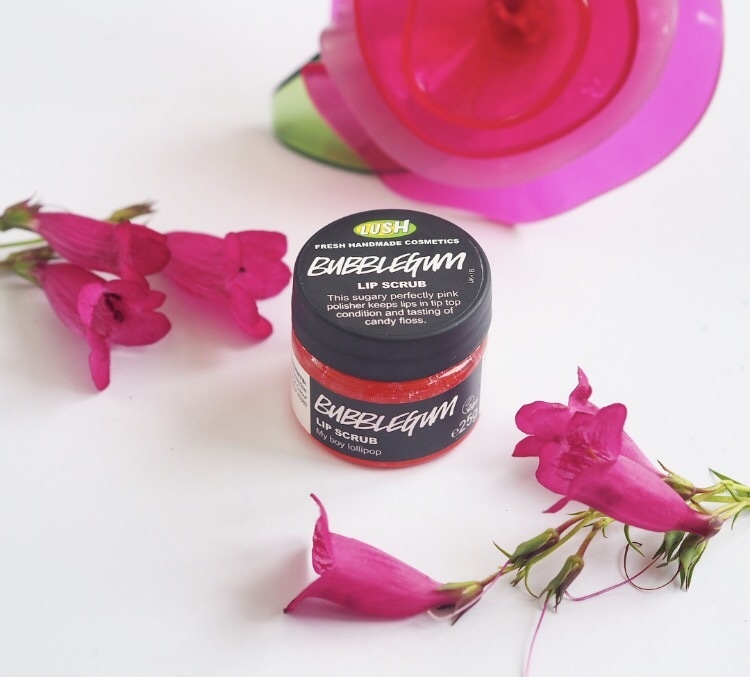 The packaging is absolutely adorable and the scrub itself is brilliant at prepping my lips before applying lipstick. Last Thursday, after a particularly stressful day with wedding plans going awry, I headed to the bathroom with a large glass of wine and my bath bomb. I dropped it into the water, armed with both iPhone and camera, and risked water damage to get the perfect shot and cliche boomerang for instastories at the same time. I love this bomb! 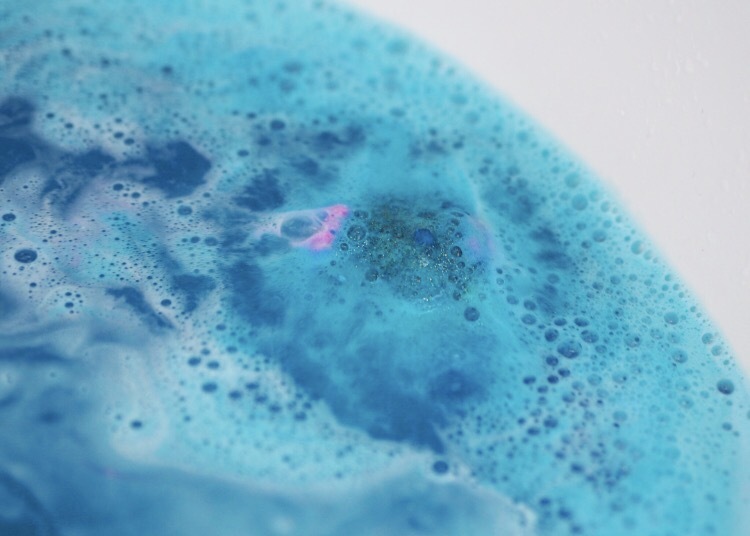 It not only looks gorgeous before it goes in, but it leaves the bath a brilliant shimmering navy colour with gold flecks which are reminiscent of the night’s sky. 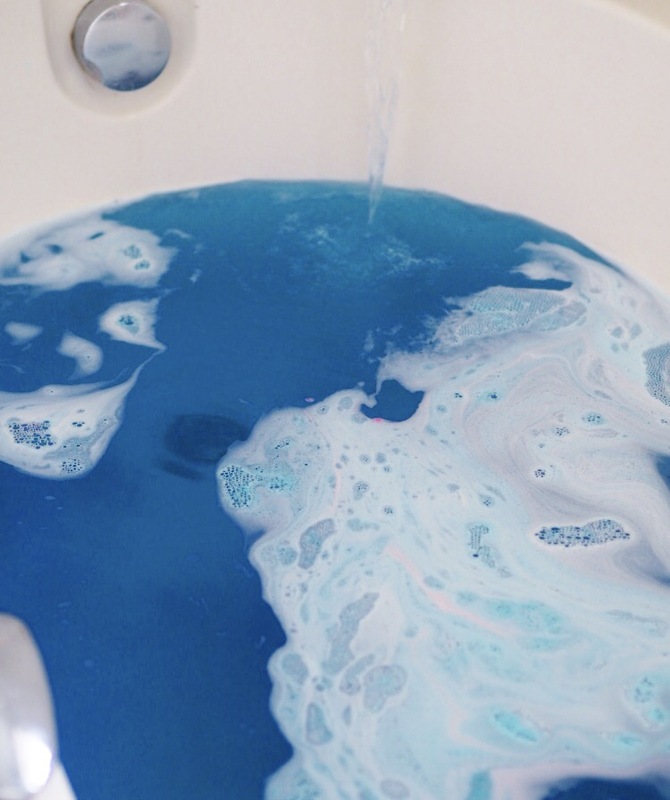 The scent was so relaxing and I felt the stress of the day float away. I will definitely be heading back to Lush again soon to feed my bath bomb addiction! I’ve never treated myself either, and I definitely want to try one of their lip scrubs. One day! 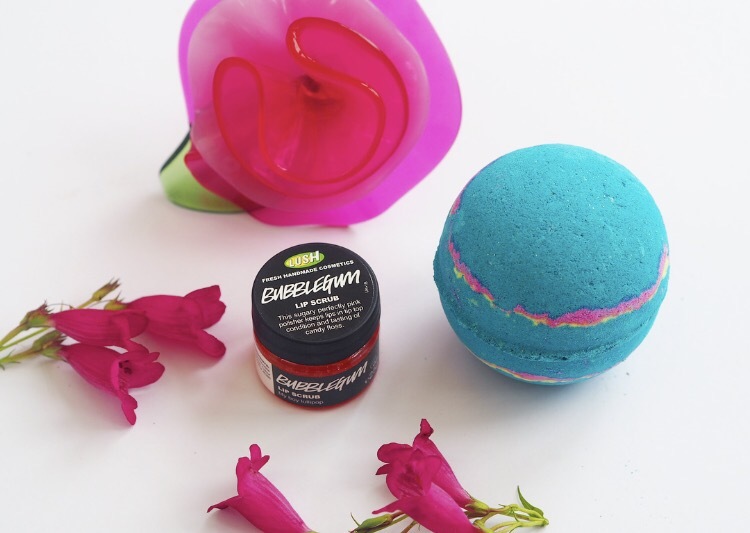 I used to love going to Lush but we don’t have one near us at the moment 🙁 maybe I’ll make a special effort to head to one soon! Lush is expensive but worth the money as a treat! I recently went to our local opening party, so many fab new things being released.